Posted October 23rd, 2015 by Sue & filed under Centre News. ‘Scalp acupuncture has been proven to have the most success in the treatment of MS and other central nerve damages, as compared to other acupuncture modalities including ear, body and hand acupuncture. It not only can improve the symptoms, the patients quality of life, and slow the progression of physical disability, but also can reduce the number of relapses. 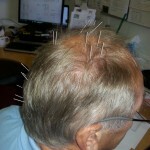 Scalp acupuncture discoverd by Dr. Jiao Shunfa in 1971 is a modern acupuncture technique combining traditional needling methods with Western medical knowledge of representative areas of the cerebral cortex, including anatomy, physiology, pathology and neurology. Scalp acupuncture treatment for MS has had much success in reducing numbness and pain, decreasing spasms, improving weakness and paralysis of limbs and improving balance. Many patients also have reported that their bladder and bowel control, fatigue and overall sense of well-being significantly improved after treatment. 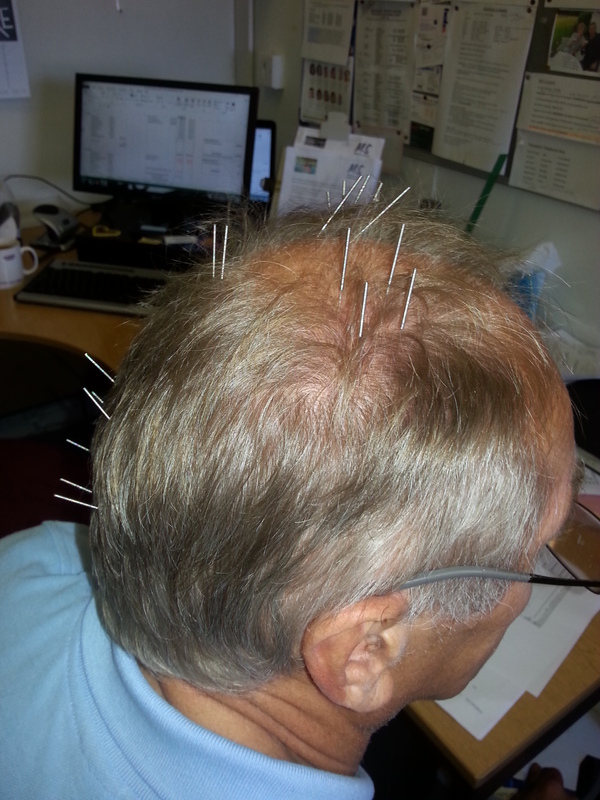 Recent studies have shown that scalp acupuncture could be a very effective modality in controlling MS. Scalp acupuncture often produced remarkable results after just a few needles are inserted. It usually relieves symptoms immediately, and sometimes only takes several minutes to achieve remarkable results.